Game of Thrones, Breaking Bad, Nashville, The Sopranos. 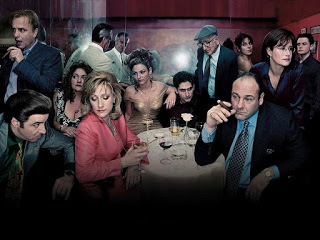 American drama series are a huge influence on the way television looks, feels and sounds in contemporary entertainment. A big part of that enjoyment comes from their music: The soundtracks & scores. In this article we take a look at the music used in some of those series and find out what makes it such an essential part of the viewing experience for the boxset generation. music composed by Ramin Djawadi. Based on the fantasy novels, A Song of Fire & Ice by George R.R.Martin, Game Of Thrones is set in the fictional continents of Westeros and Essos with storylines encompassing civil unrest, exile & the impending threat of a very, very long winter. An important part of the mood setting in Game Of Thrones is its long title sequence and theme tune at the beginning of every episode. A mechanical 3 dimensional map unfolds alongside Djawadi’s evocative music. A rich orchestral theme featuring cantering Eastern style cinematic percussion, a solo cello and assortment of brass, string & woodwind instruments. This theme sets the tone for the narrative and returns in a variety of versions throughout the series. GOT is heavy on complex dialogue which tends to govern the role of the music. Moody orchestral swells offer support to the atmosphere of the dialogue, helping define the importance of what’s being said, rather than overwhelming it. During battle scenes the music comes to the fore, often heavy orchestration with deep resonant percussion. Although it may be played on real instruments mixed with samples, there are very few obviously synthetic sounds to detract from the medieval feel of the series. In fact, with its austere orchestral washes, the role of the music could be termed ‘transparent’, in as much as it’s sympathetic to the dialogue and offering a supporting role to the storyline. Aside from the incidental score, the series also buddies up with a number of indie bands. The National, Sigur Ros and The Hold Steady giving a contemporary feel to the music palette. A good way to reach the Game of Thrones audience on another level. Offering a connection to the present day through familiar artists and bands. Walter White, a Struggling chemistry teacher, is diagnosed with inoperable lung cancer and turns to a life of crime in order to support his family’s future before he dies. 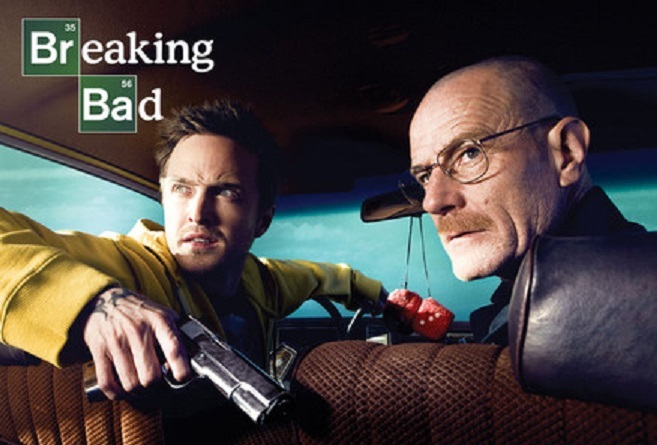 Hugely successful cult series Breaking Bad has an entirely different approach to its score and soundtrack with the music taking on a much more upfront role during the series five seasons. There are a number of different ways in which the music appears in the show. Firstly there’s composer Dave Porter’s contemporary sounding synth based cues that appear during key moments such as scene setting, great drama, tenderness or suspense. Unlike traditional orchestral music, Porter uses synths and electronic sounds mixed with real instruments like guitar, piano and woodwind. With a variety of arpeggios, swells, breakbeats and loops the score takes on a much more contemporary feel in line with producers like Trent Reznor, Brian Eno or Mogwai. The second way that music appears is with published music tracks by established & unknown artists sprinkled through each episode adding an almost ‘music video’ feel to a scene, the music becoming any bit as important as the visuals it accompanies. Anything from 60’s Lounge jazz or Hip Hop, to indie rock or Mexican Mariachi music. The variety of music used is dynamic, eclectic and quite often full to bursting point with humour and irony. Take for instance the scene where we see meth addict & prostitute, Wendy S. going about her daily business to the jaunty overtones of The Association’s Everyone Knows It’s Windy! 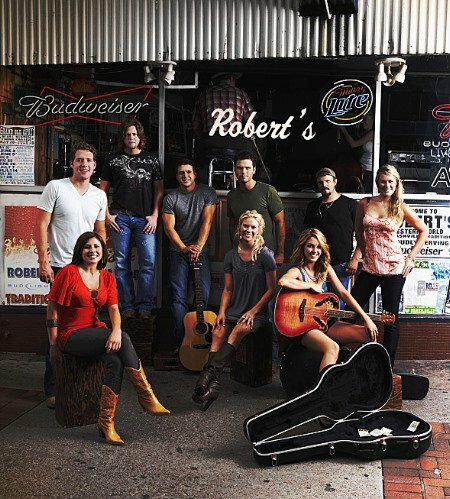 Nashville chronicles the lives of a variety of fictitious singers from Nashville, Tennessee as they deal with the ruthless cut throat world of County Music stardom. Nashville is an example of a series where songs are being recorded and performed as the drama unfolds and are often lyrically and musically intertwined with the on screen drama. It’s an example of how music, visuals and narrative can be gelled together to appear almost seamless. The added incidental music is of course Country flavoured as well A few bars of acoustic picking as we scan across the Nashville skyline. Or a well judged slide guitar lick in a minor chord to signify moments of melodrama. As a kind of self fulfilling prophecy, the soundtrack albums have become best sellers making the music almost as popular as it appears to be fictitiously in the series! New Jersey mobster, Tony Soprano turns to psychiatry as he struggles to balance the conflict between his home life and his job as boss of a criminal organisation. Perhaps the original series that kicked off the boxset generation back in the late 1990’s, The Sopranos was hugely influential with its bold portrayal of the American Dream turning into a spiralling nightmare. If you were a fan, you’ll remember the dust-ups, the shoot-outs, the car chases, the brutal assassinations. But it may surprise you to learn that there was no original music composed for the shows in its entire six series run. The music choices were all carefully chosen popular songs that fitted the mood perfectly, often in complete opposition to the on screen violence or gory melodrama. This approach to scoring was a fairly new device on TV and was perhaps more in line with the feature films of Martin Scorsese who features end to end popular music in his gangster films like Casino, Good Fellows and The Departed. One recurring use of music in The Sopranos was a well placed eclectic song playing as the end credits rolled out. Elvis Costello, Ben E. King, The Chi-Lites, Van Morrison. Even John Cooper Clarke’s Chicken Town featured in this highly coveted spot. Then of course the show’s popular signature tune, Woke Up This Morning by Alabama 3. Chosen when producer David Chase heard it on daytime radio while driving to work. So just within these few examples we have seen widely diverse ways of using music in a TV series. 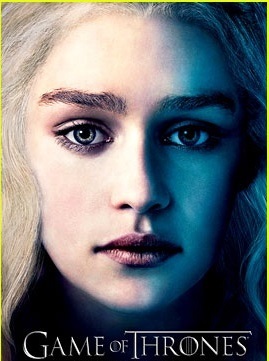 The supporting role of Ramin Djawadi’s orchestral score in Game of Thrones, Dave Porter’s synth based incidental music for Breaking Bad, Nashville’s total integration where the music becomes part of the show and The Soprano’s reliance on popular music to make up a memorable score. There are of course many other examples. Mad Men’s heady mix of 60’s pop, Boardwalk Empire’s prohibition era Jazz and Blues. Even The Handsome Family’s eerie title track to True Detective. All these and many more add flavour, depth and atmosphere to the excitement of American TV dramas enjoyed on TV’s & other devices around the world by a new breed of dedicated fans. The Boxset Generation.